Last week, I had a little trip into SUMMER! 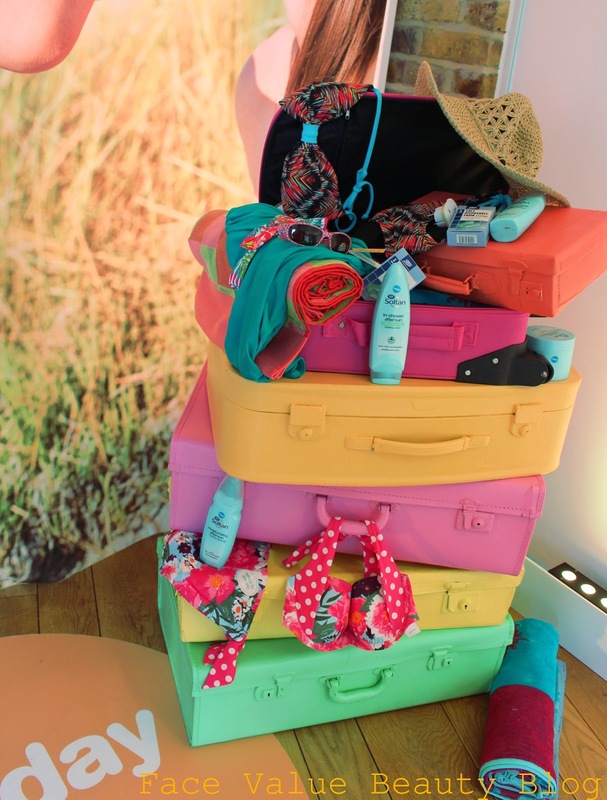 In conjunction with the recent sunshine, Boots were showcasing some of their summer items in a gorgeous sun-filled space in Central London. Lahvely. As soon as I walked in, I felt like I was on holiday! 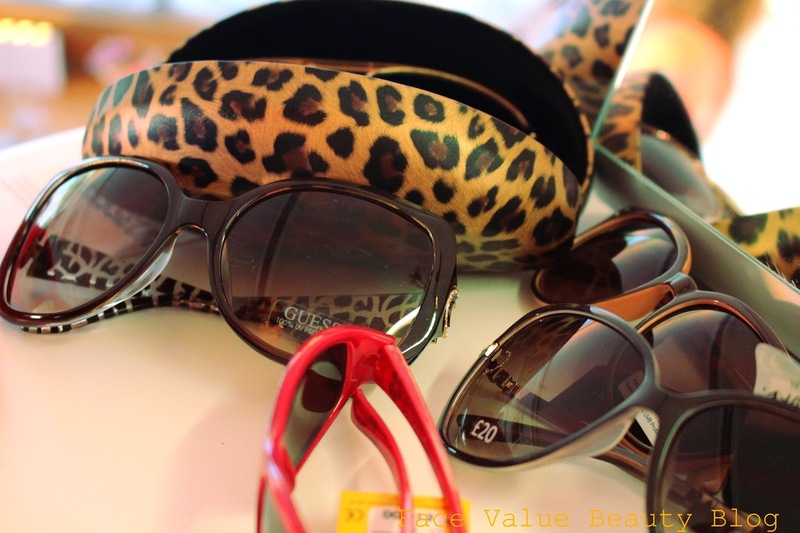 Trying on sunglasses, the smell of suncream in the air, what bliss! Isn’t sun-cream just the best scent ever?!? Its right up there with baby powder and fresh laundry for me. Anyway, summer scents aside, here’s my lowdown on the top tips and top products to keep you looking fabulous this summer. The two staples of Summer are SUN and SUN PROTECTION. 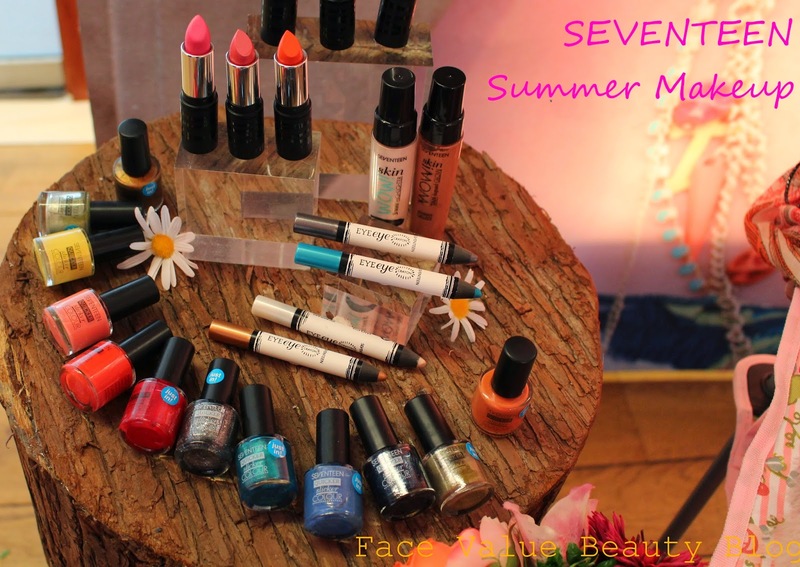 I’m going to start with the more boring one, sun protection and then, my favourite – summer cosmetics to match your tan! Boots have got a gorgeous selection of sunglasses out, including a new range which has a UV coating on the inside of the lens. So not only are your eyes protected from direct rays, the sunglasses also protect eyes from light which is reflected off the lens from behind. Smart! Now for one we ALL know about. SPF! Yes, yes, I know you’ve heard it all before, WEAR SUNSCREEN TO PREVENT AGING. Wear SPF, not only in your sun cream but in your skincare products too! It’s hard enough trying to get Mr FV to wear suncream – despite smelling nice, it’s all sticky and greasy and heavy right?? I swear, as adults, we’re probably fussier than kids these days!! I had a great chat with Clare O Connor – Boots UK Suncare expert- about sun cream and here are the top facts I learnt. Often not advertised but kids sun cream tends to be more waterproof than the adult version. We often assume kids formulations are better for sensitive skin – but mainly because it’s often fragrance free. It doesnt mean that the chemical content is any different. 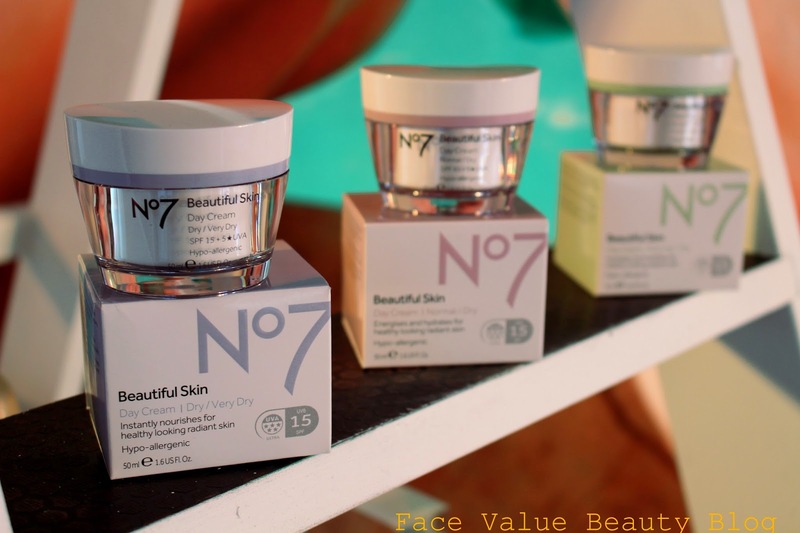 Finally, I asked about mineral SPF which is hugely trending at the moment and it turns out that it’s not always as natural as the marketing makes out. Yes, the mineral content often occurs naturally but it goes through heavy amounts of chemical processing too. Hmm! And of course – suncream is not the be all and end all right? Forget big colourful bottles, you can find SPF in tiny jars too. Yep, you should make sure you get your daily dose of SPF in your face cream! Are you in the mood for summer yet?! I can’t eeeven begin to pick my favourite. 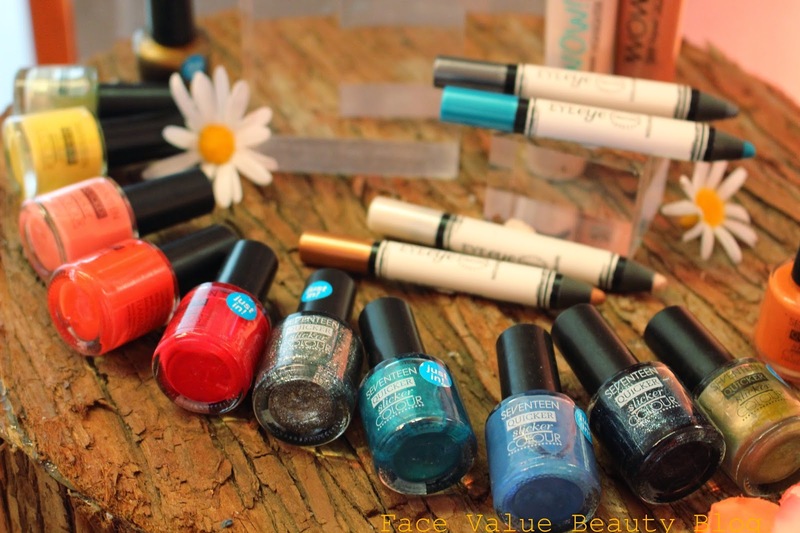 There’s a beautiful range of colourful nail polishes (including sparkly, neon and bright), some gorgeous EyeEye crayons (everything’s going crayon-shaped these days!) and, my favourite – two Seventeen Skin Wow highlighters in pearl and bronze which can be mixed into foundation, or dabbed onto cheekbones. Not sure about doing colour all over the lid? That turquoise blue is beauuutiful but I’m not sure I could rock it all over my eyes. 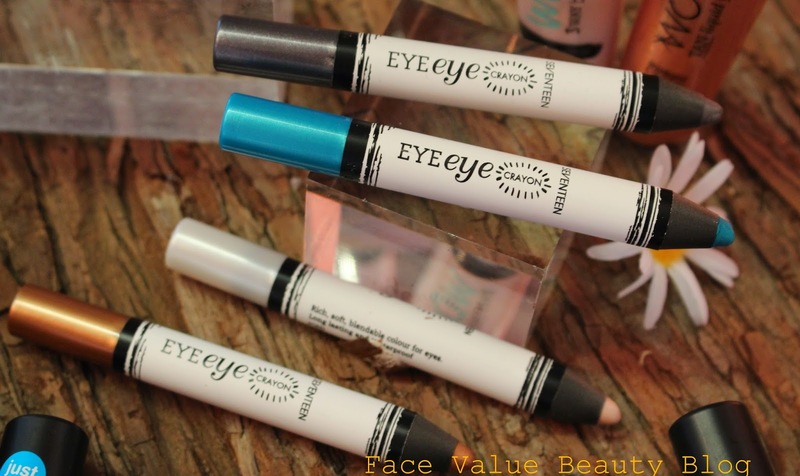 FaceValueTip: For a flash of colour without going too overboard, use the EyeEye crayon to line only under the eye – and use plenty of mascara. 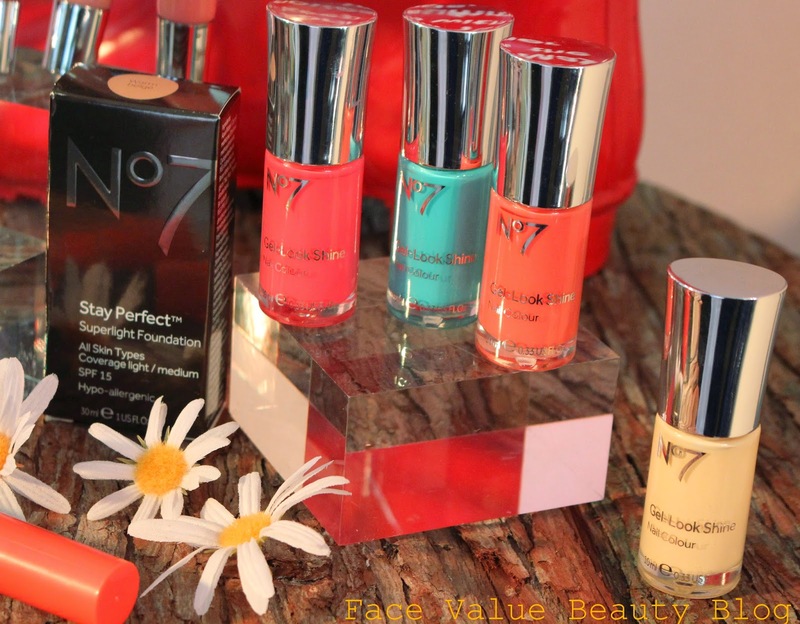 These are the new No7 Gel-Look Shine Nail Colours and boy oh boy are they going to look fab with a tan or what?? Apparently you get a gel-like finish with just one coat and the formulation allows the polish to be tough and flexible. See ya later Chips! My prediction for the Summer sellout? Not yet in stores, it’s gotta be this No7 High Shine Lip Crayon in Tropical Beach and the BB Lips in Geranium — yes, as in the BB Lip version of my MOST FAVOURITEST LIPSTICK EVER – the No7 Stay Perfect in Gay Geranium. Both are gorgeous, zingy, coral colours – almost neon – and they will look amazing on all skintones! 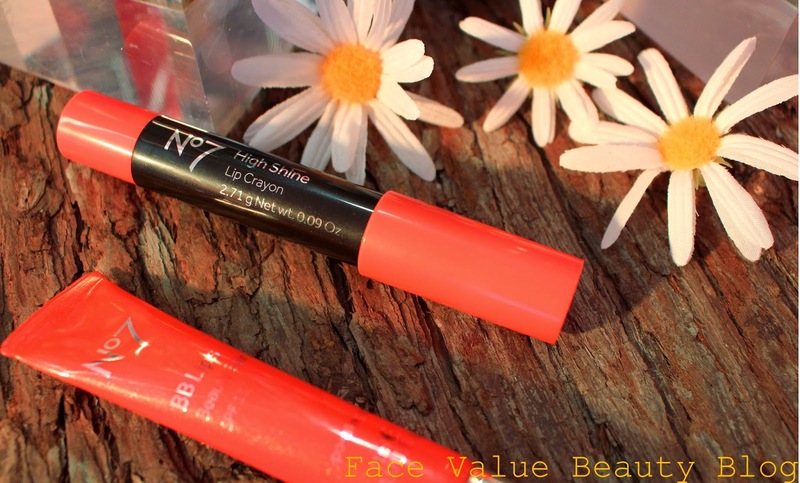 These are perfect for gals who want to try an Orange lip whilst still keeping it pretty. Oh yeah, and the BB Lips has SPF15 too. Tick, tick, tick! I cannot WAIT to get these into my makeup bag! I hope to review these soon! And the best thing? There’s going to be a mix and match 3 for 2 on cosmetics from tomorrow until 13 May. SORRY BANK BALANCE. Which of these products have caught your eye? What’s your summer must-have product? How great would a dry-touch sun cream be?! And what are your favourite summer scents? Previous Post MONEY MONDAY: Nicer ISAs? What’s a NISA?